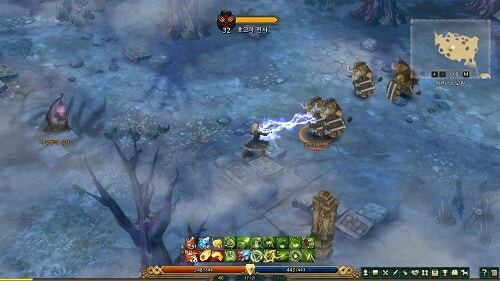 The long awaited MMO title known as Tree of Savior is finally upon us, with its cute and charming art style it aims to recreate the feeling of Ragnarok Online and other older MMORPGs like it. Your journey will take you across a landscape of beautiful graphics as you embark on a search for the goddesses of the world which finds itself in chaos at present. What is most striking though is the style of the game which has an impressive vibe with anime undertones. Tree of Savior offers 4 core classes, the cleric, swordsman, wizard and archer. While small compared to other titles this quickly branches out into dozens and dozens of classes which can be selected at certain levels and alter your skill options accordingly. Some of these also feel like secret classes with difficult unlock paths or hidden to the side. This freedom in class options quickly allows unique builds to develop as you create a character that feels just right while under your control. Speaking of controls you’ll find the ones offered by Tree of Savior to be fairly fluid although will need a little adjustment to shake you out of the typical MMO control scheme and it does offer a few different pre-sets to help with that. Controls are primarily have an action RPG style to it which supports a skill based combat system. This is most evident in the hundreds of boss encounters within Tree of Savior where players will need to dodge attacks while landing your own auto-attacks or various skills. As if this review Tree of Savior is still a fresh face on the MMO scene and still needs some refinement before its depth is comparable the long standing titles. The solid foundations of the game though give it a bright future, especially if it can convert enough RO fans. Cute character and world design with an anime feel. 4 core archetypes that can advance to dozens of options. Action RPG control scheme lets you dodge attacks. Free to play long awaited MMO title.